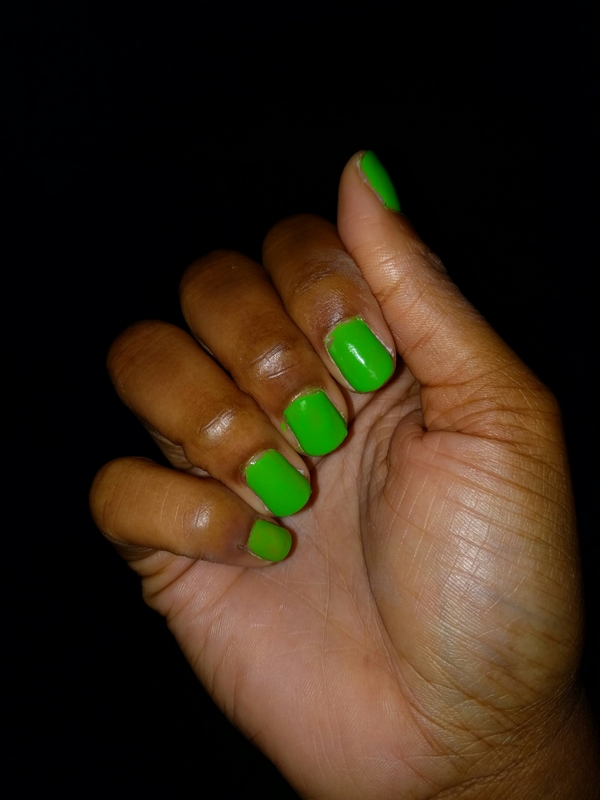 Today’s manicure is, once again, courtesy of LA Colors Colorlast. 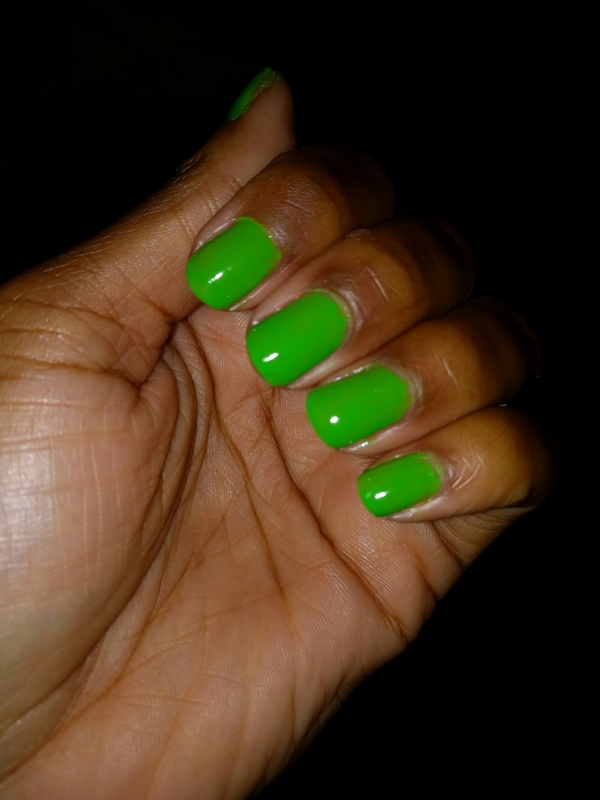 It’s a beautiful lime green shade, called ‘Enetgy’, and has an awesome formula. It has a medium thickness, and vet smooth. Great coverage in one coat, but I prefer the standard two. 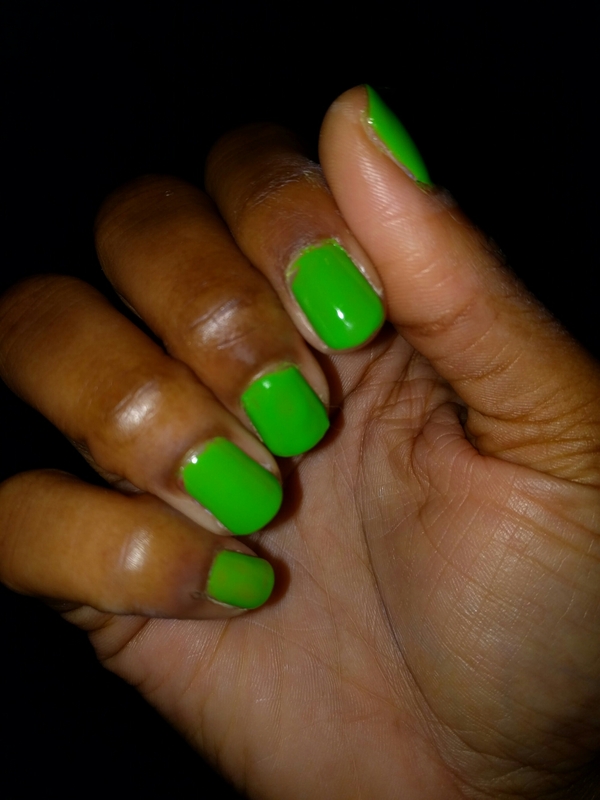 By the way, this polish is $1.98 at Walmart! SUCH A STEAL! !